Can Massage Help You Lose Weight? A form of alternative medicine, massage is considered as an effective treatment for physical and mental relaxation. But, that is not all. Did you know body massage can also help you lose weight? As massage involves putting pressure on specific body areas; it can help improve your metabolism, reduce body fat and much more. Massage can help improve blood flow in active and non-active people, says a study. Massage stimulates the flow of blood and lymph vessels, thereby improving blood circulation. Increased blood circulation ensures essential nutrients are supplied to vital body organs. Massage, along with a healthy diet and regular exercise, can help reduce body fat. Make sure you get a deep massage, targeting areas having excess fat. Our metabolism can slow down because of stress and an unhealthy diet. This can lead to the accumulation of fat and weight gain. Body massage is not just an effective treatment for muscle relaxation; it can also cause weight loss by accelerating metabolism. Since massage promotes blood circulation, it helps enhance oxygen supply throughout the body. Healthy blood circulation allows muscles to burn more calories. Need a massage in Brisbane? Look no further than Brisbane Livewell Clinic. We specialise in natural therapies, including massage. We offer a variety of massage treatments, such as remedial massage, pregnancy massage, sports massage and full body massage in Brisbane. Our dedicated professionals understand the many benefits of massage. They have years of experience and expertise in the area. Certified, trained, our professionals members of the Australian Association of Massage Therapists. Whether it is stress or weight loss, they provide thorough massage treatment to address your health concerns. Book an appointment now via phone or online. Thinking of getting a massage? A full body massage is the best way to restore your health and well-being. It is an effective tool to deal with stress, pain and inflammation. If you are dealing with a lot of stress at work, it is time to get a deep body massage. Various studies show that massage can help reduce the body’s stress hormones. This also results in less inflammation. Those who have a desk job should try to frequent full body massage frequently. Sitting all day long affects the posture. It also leads to neck, shoulder and lower back pain. A full body massage is a simple, powerful tool to alleviate pain and stress. Full body massage promotes deep relaxation. It calms the nervous system, which rejuvenates the mind, body and soul. Dealing with relationship problems? If you want to get away from all the drama, get a full body massage in a relaxing location. Body massage helps release feel-good chemicals, which enhance one’s mood and alleviates stress. Clear your cluttered mind with a full body massage. In some cases, stress triggers migraines. You need to a full body massage to deal with tension headaches and migraines. If you have had surgery, it is the best time to get a full body massage. Massage enhances blood circulation and muscle flexibility. Discuss with your doctor when it is possible for you to get full body massage. As mentioned earlier, massage does wonders for the muscles. It helps promote muscles flexibility. Athletes, in particular, need deep massages to improve injured muscle recovery. Full body massage is the best way to lower blood pressure. As stress levels decline, so does one’s blood pressure. Having trouble falling asleep? Deep massage reduces stress, promotes relaxation and restful sleep. This is due to the effect of delta waves. Last but not least, listen to your body. If you feel any aches and pain, take some time out of your busy schedule to get a full body massage. Be sure you consult licensed and trained therapists for it. 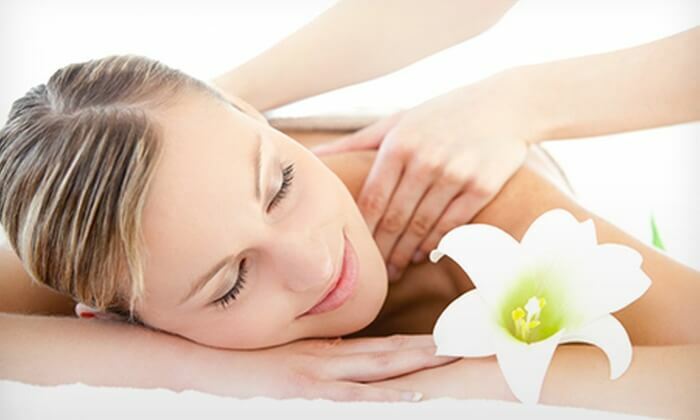 For full body massage in Brisbane, get in touch with us. You can book an appointment online from the comfort of your home.